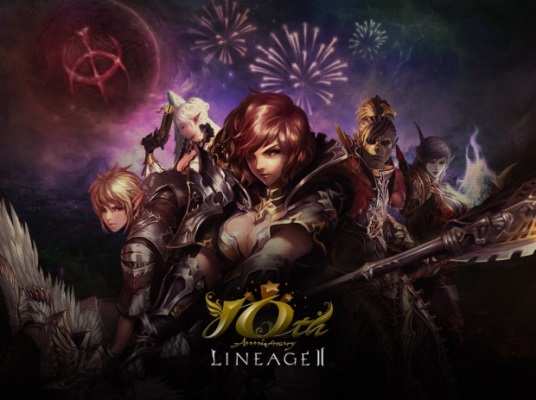 NCSOFT, the world’s premier publisher and developer of massively multiplayer online games, today announced Ertheia, the next content expansion for Lineage II, one of the longest-running MMOs in history and flagship title for NCSOFT. Planned for release this summer, players can expect to enjoy a new playable race – the Ertheia, for which the expansion was named – explore new hunting zones and take part in thrilling adventures. Having recently celebrated Lineage II’s 10th anniversary in North America, the story of Aden and its champions continues, now with the introduction of the new race. Ertheia, born of the wind, were created by the god Sayha. Renowned for their beauty, everyone longed to keep them near. But like the wind itself, they never wanted to stay in one place for very long, and suffered if they were confined. For ages, the Ertheia made their home in the Wind Spirit Realm, away from interaction with the Material Realm. But a catastrophic event has thrust Faeron Village into Aden. And now these graceful, deadly warriors find themselves engaged in a life-or-death battle against Shilen in a strange place. Attention, Internet! Day two is done, and the madness is slowly funneling into my brain!